Telecom Companies Turn To Drones For Help After Hurricanes Cellphone service outages can leave people unable to ask for help or get in touch with family and friends to say they are alive, but drones can help assess damage and get things running again. To speed up the process of getting everyone back online, telecom companies are starting to use drones. According to experts, these unmanned planes can access where the damage is, finding the best routes to get there and what equipment to bring. Both AT&T and Verizon have confirmed they are getting drones in place to help with recovery efforts. "Reviewing video from the drone, our network engineers realized that one cell site had its equipment on stilts and was not damaged," she says. "The team was able to send in a team via boat and refueled the generator, getting the site back online to serve customers within just a few hours versus days," Harris says. AT&T says it has been successfully using drones to help get its systems back up around Houston and other areas affected by Harvey. Art Pregler, National Mobility System's director at AT&T, says they kept drones just outside the area where Harvey was expected to hit so they could deploy them quickly. The company actually embeds drone crews with repair crews. Pregler says the drone can get pictures of a cell tower, and then the repair team can see what's actually wrong with it. Knowing what's wrong is important. "The worst thing is to send a crew who doesn't have the right equipment," Pregler says. Drones can also be used to figure out which areas to avoid — which areas aren't flooded, where there are large piles of debris — and then repair teams can find ways to get out to the cell towers and other facilities without wasting time. Pregler says they've moved drone teams to Florida, but that it's a more complicated situation than Harvey. "The entire state is a target of the hurricane," says Pregler. "There is a lot of ongoing coordination." 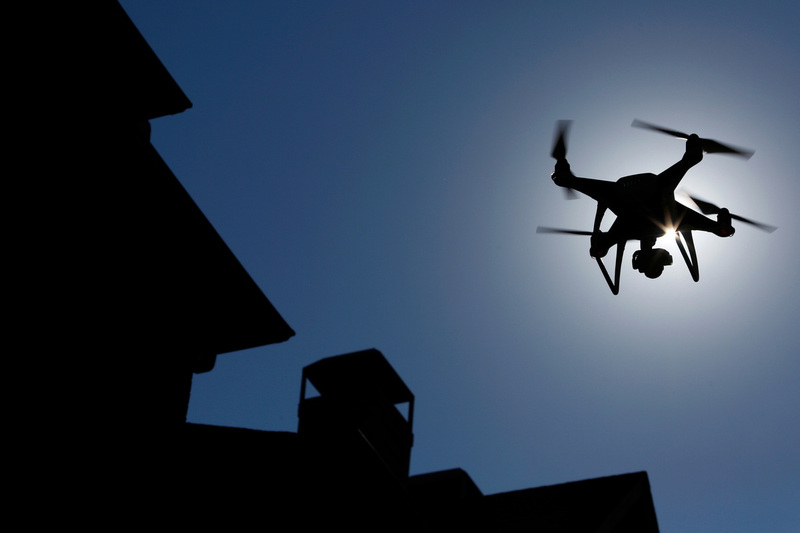 According to a spokesperson for the FAA, it's not only telecom companies that are using drones. Local fire departments, insurance companies, the Red Cross, railroad companies and even journalism organizations are sending out drones to assess damage. Using drones after disasters is still new. But so far the companies that use them say they are proving to be an invaluable tool for disaster recovery. And for those waiting on the ground to reconnect with family and friends or get in touch with emergency services, anything that can get them back online faster is likely to be welcomed.